Pixel was designed to meet the needs of multiple tasks and audiences and can be quickly and easily reconfigured by a single user, saving time and maximizing productivity. Pixel by Marc Krusin from Arenson Marketing. This year at NeoCon 2015, Knoll introduced furniture solutions that encourage the evolving relationship between social and technological use in the workplace. 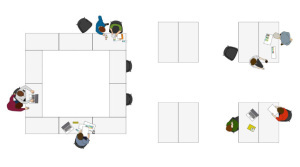 The office network recognizes that today’s workplace is a direct reflection of this dynamic relationship and office settings that encourage mobility and varied forms of work are ideal. Pixel was designed to meet the needs of multiple tasks and audiences and can be quickly and easily reconfigured by a single user, saving time and maximizing productivity. High-performance design details ensure continued performance in the most active, demanding environments. 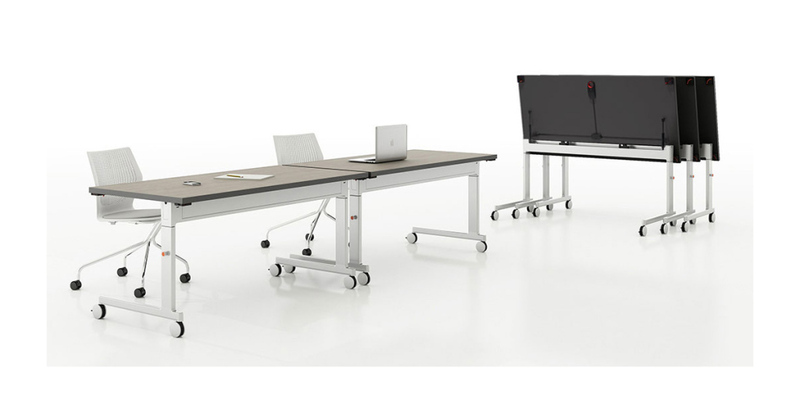 Pixel features the intuitive Pixel Connect system and a patent-pending flip mechanism that makes it simple to attach, separate and nest tables for a virtually limitless range of meeting and training applications. 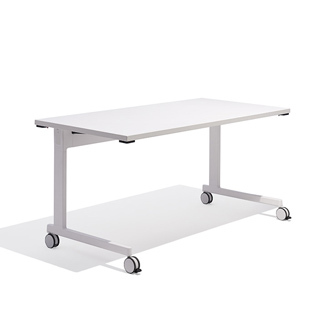 Pixel and the idea of an office network was well-received this year at NeoCon, where it received the Best of NeoCon Gold Award for Tables: Training & Work.